It was a new experience visiting Victoria with Baby B. We have fond memories of Victoria from the days when we both lived there 10 years ago, but times have certainly changed! We were both in University back then, frequenting the local watering holes and dreaming about where our lives would take us. It was a fun period. We knew that our recent visit to the laid-back British Columbian capital was going to be different from previous trips (no whale watching this time). 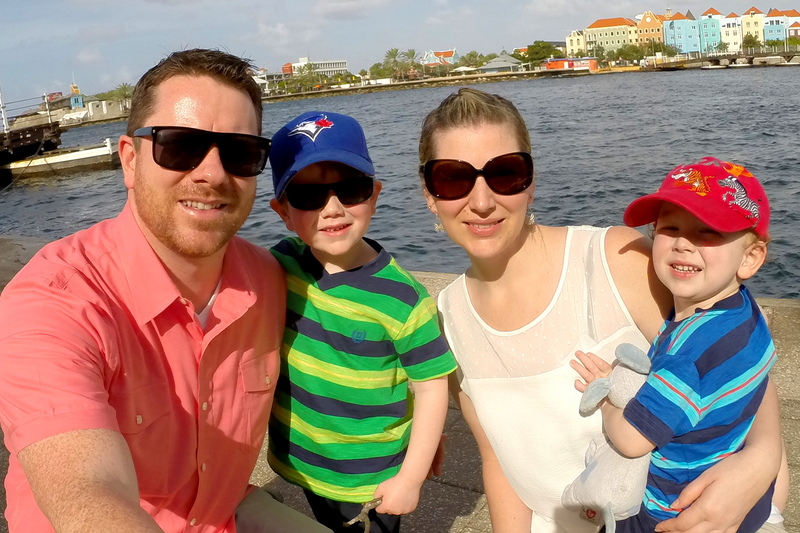 Our travel style has changed now that Baby B has joined our family. We now need to consider his needs (specifically his 3 naps a day and 7:00PM bed time! 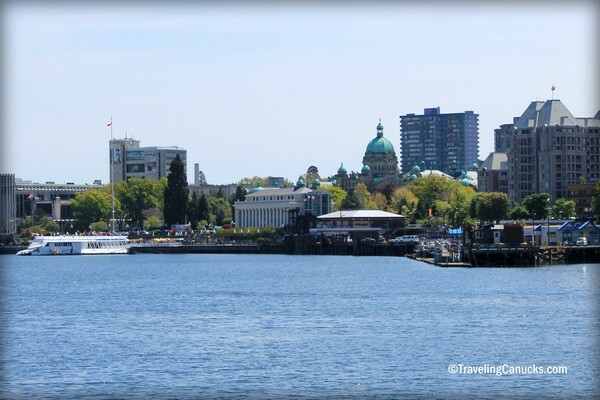 ), so we planned to spend most of our time wandering around Victoria’s Inner Harbour and relaxing by the hotel pool. We were invited by the good people at the Delta Victoria Ocean Pointe Resort and Spa to check out its newly renovated digs on the Victoria Day long weekend. We love Victoria, so it didn’t take much convincing. This was our second time staying at the Delta Victoria, but our first visit was before the renovation so we were curious to see the difference. Our room was on the 7th floor, boasting magnificent west facing views of the inner harbour. There was a noticeable difference in the quality of the rooms after the upgrade. The style and feel is modern and fresh, with all of the latest toys and gadgets. And our comfortable king size bed was big hit with Baby B. We love the waterfront location of the Delta Victoria, just across the iconic Johnson Street bridge (pictured in the opening photo). It’s far enough away from the noisy bars (which is now a good thing) but still within walking distance to the downtown core. Baby B is an early riser so having access to the waterfront seawall was a big plus for us. Morning coffee always taste better when consumed outdoors on a waterfront walkway. We spent our first day in Victoria cruising around the city, make good use of the sun’s welcomed presence. It rains a lot in the Pacific Northwest, so when the sun does finally make an appearance residents quickly head outdoors. Like Vancouver, Victoria is blessed with a great seawall that snakes around its active harbour, providing the perfect scenic route for walkers, cyclists, roller-bladers and runners. The fresh smell of the salty Pacific seawater on a hot summer day is something we can’t get enough of – it’s what West Coast living is all about. We were provided complimentary Harbour Ferry passes to take Baby B around the habour and show him some of Victoria’s highlights. The little water taxi puttered from the Delta Ocean Pointe ferry dock to the Westbay Marine Village in Esquimalt, a popular marina with beautiful house boats and floating cottages. 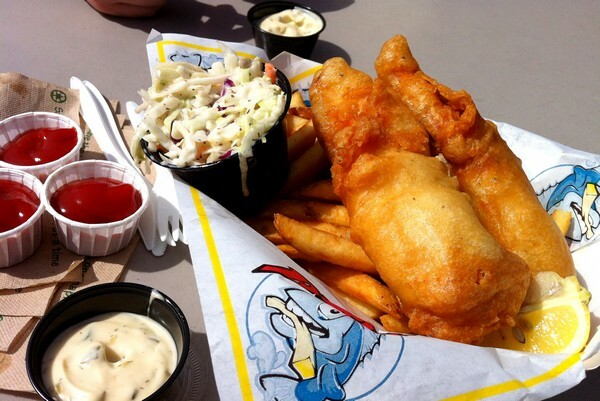 We had the water taxi drop us off at the popular Fisherman’s Wharf so that we could sample some deep fried fish and chips (an old tradition from 10 years ago). Barb’s Place has been a favourite Victoria take-out joint for many years. It’s located directly on the Fisherman’s Wharf boardwalk, the perfect waterfront location for a hot summer day. We were glad that Barb’s still serves tasty fish and chips, but disappointed that its service has gone downhill. Be prepared to wait 25 minutes to get your food! After devouring our fish and chips we took Baby B to feed the seals. The fat seals literally stretch out of the water to eat fish right out of your hand, to the delight of giggling toddlers and children. By the looks of things, these seals have been eating well! 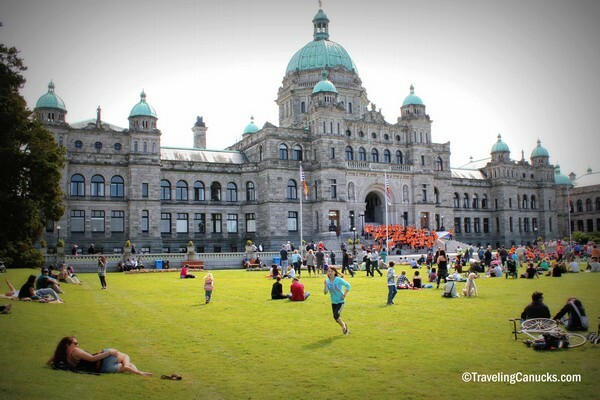 Rather then take the harbour ferry back to the hotel, we decided to walk along the Inner Harbour to visit the British Columbia Parliament Buildings and Fairmont Empress Hotel, Victoria’s most well known landmarks. It gave us the opportunity to capture this photo, so that we could see the difference that just a few months makes. Back in our university days, Nicole worked on the horse carriages, driving tourists around the city and pointing out its historical sights and attractions. To this day, it remains her favorite job because of her love of horses and travel. It was fun watching Baby B’s reaction when we brought him up close to the horses – he wasn’t quite sure what to make of it. It was a strange feeling, lying on the soft grass in front of the Parliament Buildings. We couldn’t help but reflect on our university years and all that has happened since those memorable days. As the cliche goes, time flies when you’re having fun! Every time we visit Victoria memories come flooding back at warp speed. Although it’s only a ferry ride away from our home in Vancouver, we don’t make it to Victoria as much as we’d like. It will always hold a special place in our hearts, since it’s the city where we met for the first time. This time around, it was fun showing Baby B our favourite spots – walking down memory lane. It’s one of the simple joys of being a parent. Something we hope never grows old. 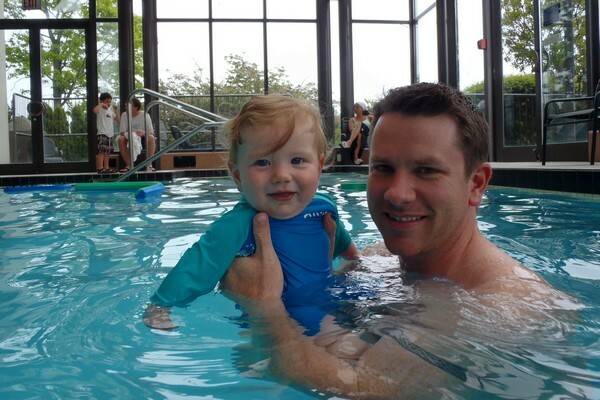 A big hit for Baby B was the pool at the Delta. He’s definitely an aqua-baby! Whenever he gets cranky, all we have to do is put him in water and he’s back to his happy, giggly self. We like that the pool was enclosed in glass, making it a year round facility (ideal in a city like Victoria). If you enjoy a good beer and find yourself in Victoria, we recommend you visit a local brewery (Victoria is home to some world class brewpubs!). The Delta is located between two popular breweries – Spinnakers Brewpub and Swans Brewpub. Both have a variety of beer selections that can be consumed at the brewpub or in bottles to takeaway (both are within walking distance to the Delta Victoria). Editor’s disclosure: we were invited as guests to the Delta Ocean Pointe Resort and Spa in downtown Victoria. As always, thoughts and expressed opinions are entirely our own. 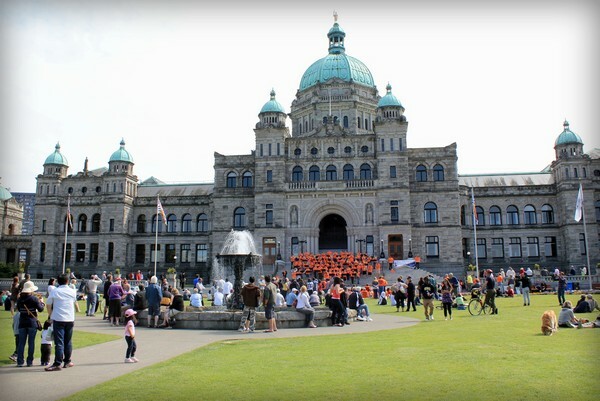 It looks like you had fabulous weather – and a full trip to Victoria! You’ve highlighted some of my favourite things to do here. Downtown Victoria really has something for everyone in the family. Feeding the seals is one of the best – Baby B isn’t the only one who thinks so 🙂 Thanks so much for sharing your photos! It’s so strange going back to a place you used to know so well… but I think strange in a good way. It’s fun to see what’s changed and what’s stayed the same, and have the chance to reminisce while still enjoying the area for what it is now. I’m with you on that Christy – we love revisiting the old stomping grounds and reminiscing about the good old days. It puts life into perspective and allows me to reflect on how much we’ve accomplished since the last visit. Similar to you guys, I also lived in Victoria many years ago and miss it quite a bit. Every time I go back I find there aren’t dramatic changes to the city but more residential building going up with rebars. A lot of young people are migrating to this beautiful city to start family or attending UVIC. Those were the days. I hope one day I can return for a few years and enjoy the view of the Juan de Fuca. Thank you for sharing this post. It’s great to see the fish and chips place is still there. It’s a good tradition to go and visit that spot. Your baby is so cute. How old is he now? It’s great to get kids exposed to places where social interaction takes place. Have you tried traveling to another country with your family? Great photos you got there. Keep on strolling around.